It must not be assumed that, once outside the building that people will know how to get to the assembly point area, signs are required to direct / advise staff and visitors of the location of the asse.. Designed for a fire warden to use during a fire evacuation. Ideal for built up areas where there is no fixed assembly point such as city centres 2.4m collapsible pole enables easy storage until requir.. 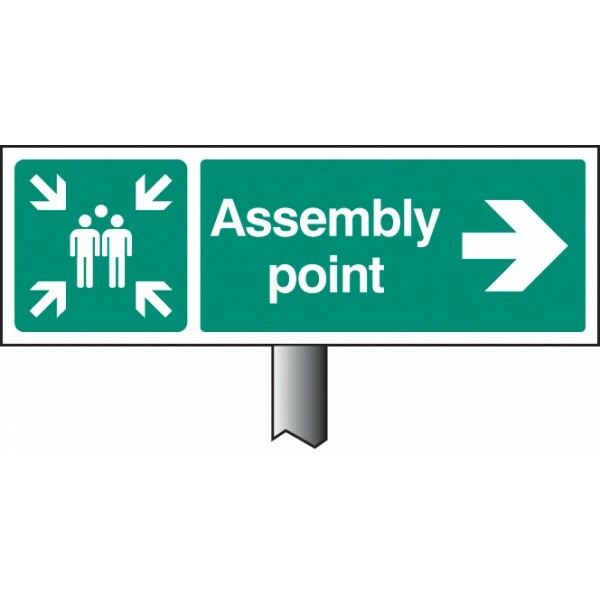 Verge signs provide a quick, easy and professional solution for information signage. It must not be assumed that once outside a building that people will know how to get to the assembly point area. Si.. Advise staff and visitors of the location for a safe assembly point in the event of an evacuation. Material Options Explained Below is a more detailed description of the materials this particular saf..
Collapsible weatherproof vehicle parking post with combined padlock housing and lift handle. Ideal for reserving parking bays and restricting access to private driveways or car parks. Internal pin mec..